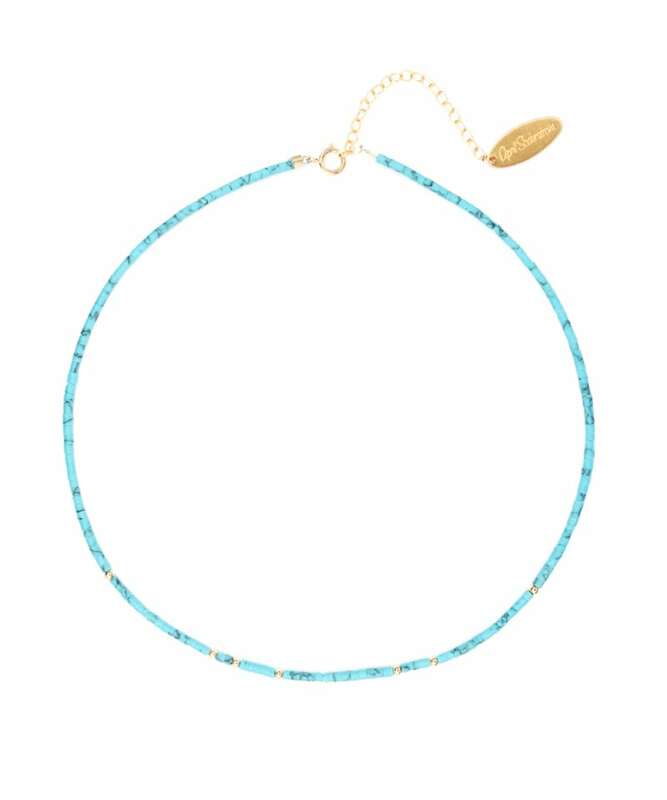 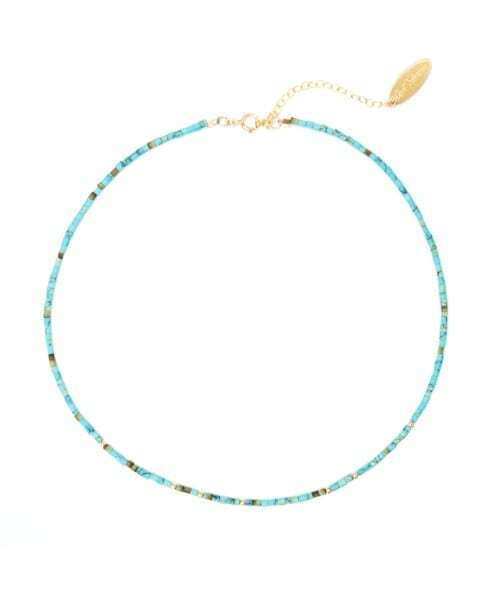 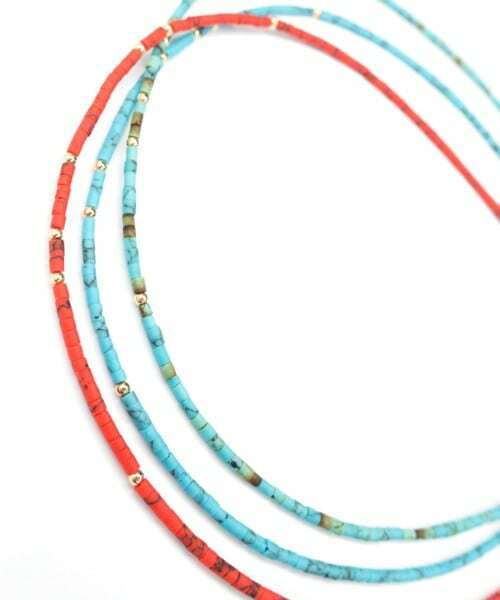 Natural matte turquoise beads in a teeny tiny sleek tube shape make for the perfect dainty choker necklace. 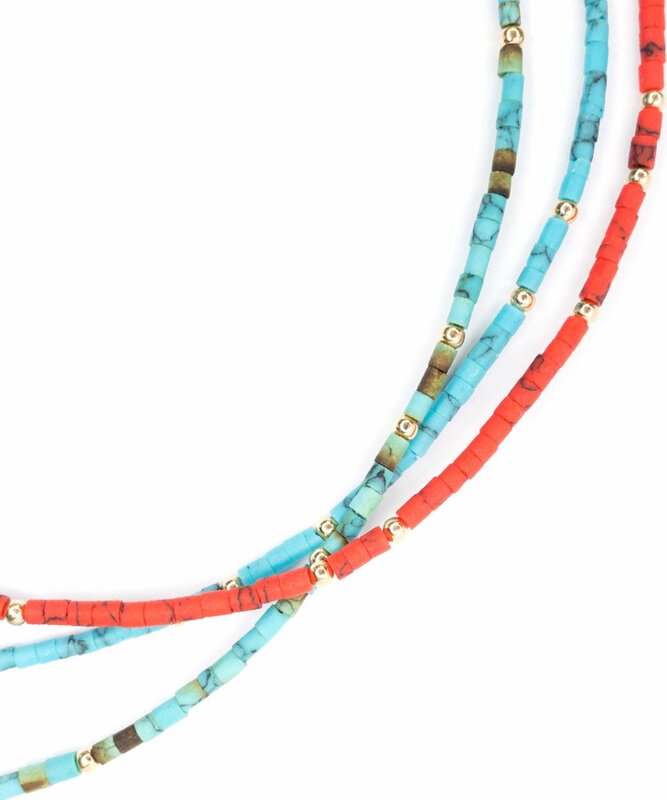 Peeks of 14k gold fill high polish beads are mixed in for added gorgeous detail. 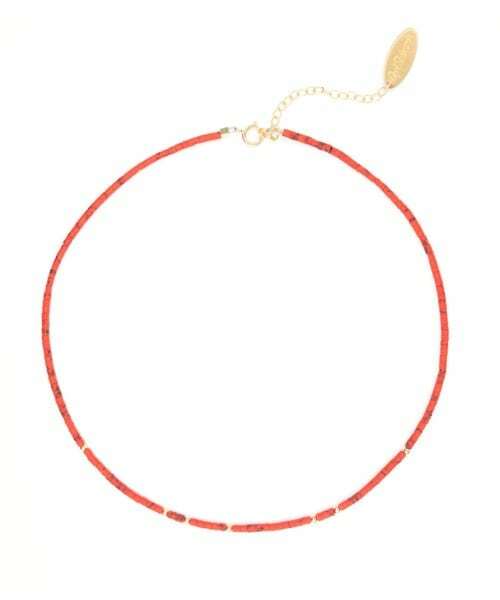 Grab another Halona necklace in the Red Coral or Green Turquoise for an edgy layered look. 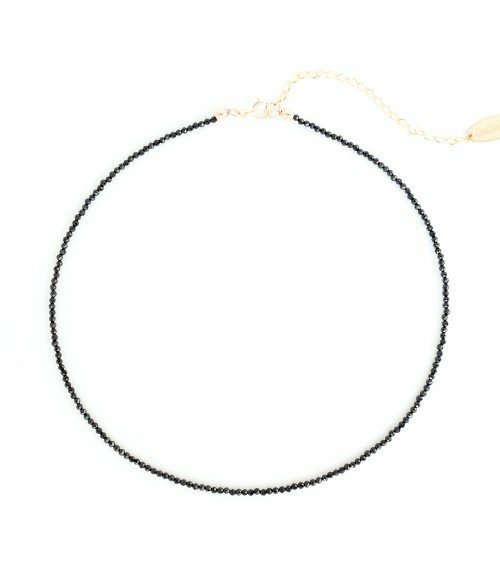 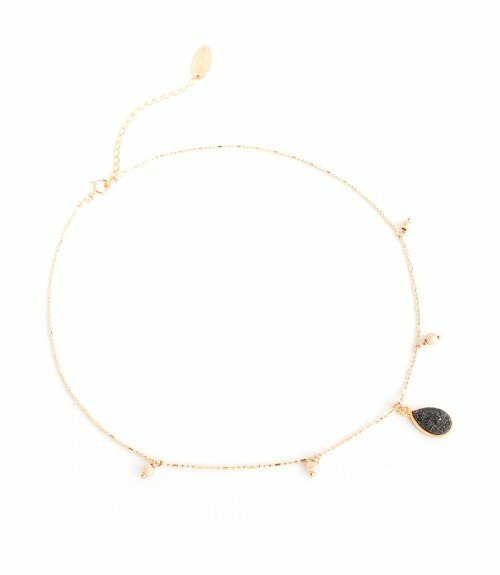 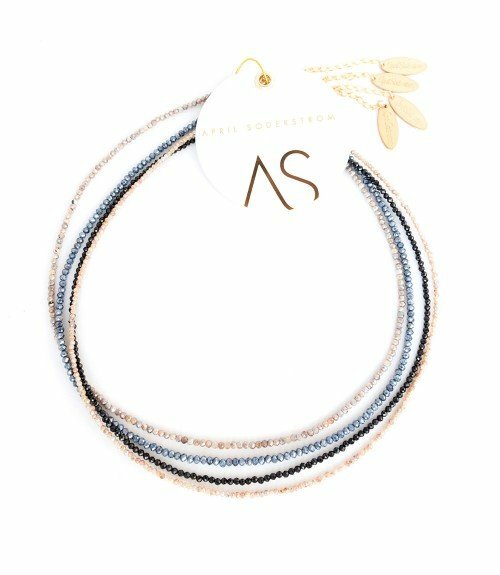 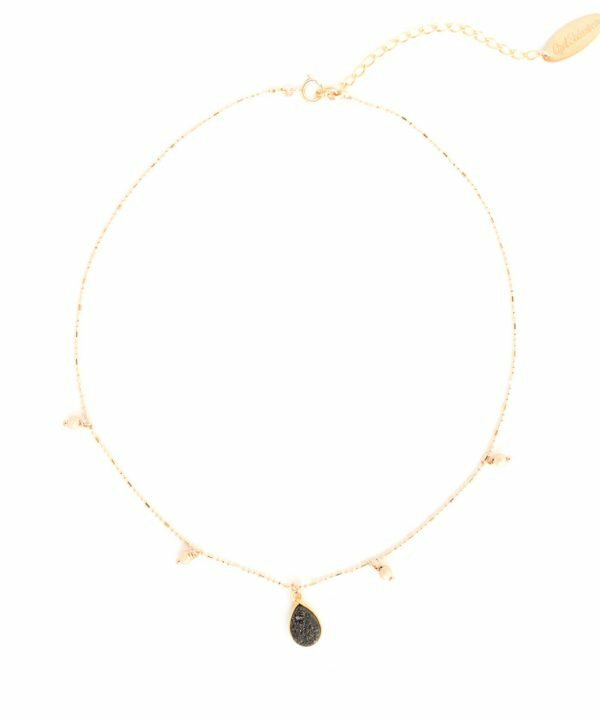 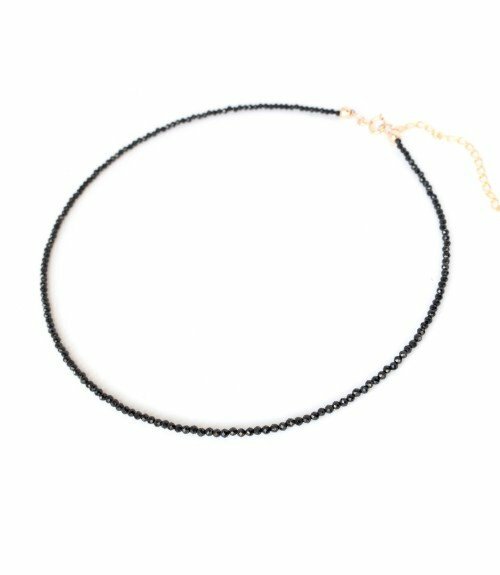 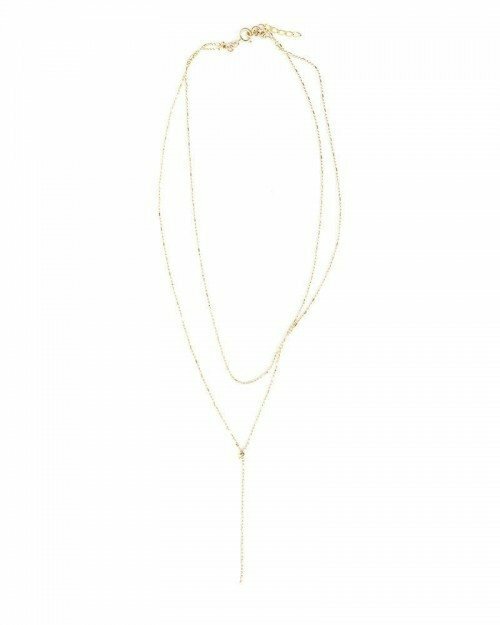 The necklace comes on a 2″ extender so you can wear it high and tight or loosen a bit for a more relaxed look.